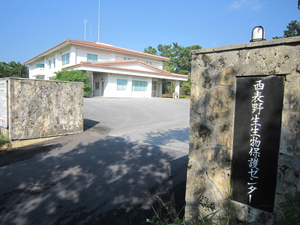 The International Coral Reef Research and Monitoring Center is a facility that aims to promote the initiatives of the International Coral Reef Initiative (ICRI), an organization dedicated to the preservation of international coral reefs. It conducts monitoring surveys for coral reef ecosystems, accumulates and provides information about coral reefs, organizes special exhibits and other events to increase awareness of the importance of coral reefs and their preservation. 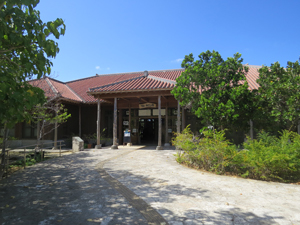 Taketomi-jima Visitor Center (Taketomi Yugafu-Kan) is a facility that provides information about the natural environment, the traditional culture and performing arts of Taketomi-jima Island, which has been designated in its entirety as a part of the Iriomote-Ishigaki National Park. The Yugafu part of the center's name means "to be blessed with a rich harvest through divine protection," and reflects the desire to support favorable exchange between visitors and island residents. 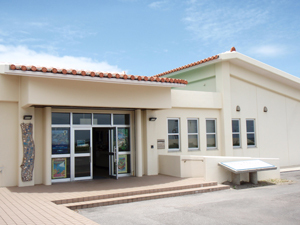 Occupying the site of a former guard house that was designated a cultural asset of Taketomi Town, Kuro-shima Visitor Center features exhibits about the natural environment and folklore of Kuro-shima Island that are presented in an easy-to-understand manner, and introduces the traditional lifestyle and other aspects of the island. 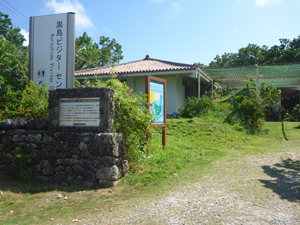 Iriomote Wildlife Center is a facility that aims to promote knowledge of rare wildlife species (such as the Iriomote wild cat) found on Iriomote-jima Island and the island's natural environment, as well as an understanding and interest in local wildlife. If you should find any injured or dead Crested serpent eagles or Iriomote wild cats, please contact one of the following offices.